Following the US President Donald Trump’s statement about possible withdrawal from the INF Treaty, the US Congress introduced a bill restricting the extension of the Russian-US START-3 treaty. Signed during the presidencies of Dmitry Medvedev and Barack Obama, the treaty is valid until 2021, but can be prolonged. Sergey Veselovsky, Associate Professor, Chair of World Political Processes, MGIMO University, considers that bilateral START treaties in their current form practically exhausted themselves, and further negotiations should be conducted by five nuclear powers, because their national nuclear arsenals, although not equal in numbers, are already comparable. In any case, the United States will not come to the denunciation of START-3. First, if the parties do not decide to prolong it for another five years, which is in principle stipulated by the agreement, then it will expire in February 2021, i.e. two years later, just a few weeks after the next US president takes office. It is not too long to wait, and perhaps there is simply no point to rush things. Second, the presence of at least some START treaty is still better than its absence, because the inability of the two leading world powers to agree on such an important issue as the strategic offensive arsenals reduction, will have a negative impact on the non-proliferation regime at all. The next NPT Review Conference will take place in 2020, and again the question will be raised, that the nuclear powers are not in a hurry to fulfill their promises of nuclear disarmament. In the past this was partially countered by agreements between the USSR/Russia and the United States. In absence of such a document, accusations of unwillingness to disarm will sound louder and the future fate of the NPT is difficult to predict. I do not exclude that some countries will want to leave it because of the futility of further participation in this discriminatory agreement. In present situation the US administration is in a relatively favorable position, since the initiator of the START-3 denunciation is the Congress. The signal will most likely be perceived one way or another, but given the Congress composition change in January 2019 following the results of the November mid-term elections, there is little chance that this bill will be considered and adopted in the near future. Thus, the White House has the opportunity to wait with the formulation of its own position. Moreover, we first need to understand the next steps of the American administration regarding the INF treaty. On December 4, the State Department published an ultimatum, demanding that Moscow must return to the implementation of the treaty provisions. According to Washington, the missile complex with a long-range ground-based cruise missile (9M729 missile) violates the INF. The Russian Foreign Ministry has already rejected all the accusations and stated, that Russia is complying with all the provisions of the treaty. In turn, Moscow had previously accused Washington of the INF violations. According to Moscow, dummy missiles used to test the US National Missile Defense System, are subject to current restrictions. In principle, we see a stalemate, that most likely will lead to the withdrawal of countries from the INF treaty. The only positive point is that while the parties are engaged in mutual accusations regarding the 1987 treaty, the START-3 remains in relative safety. The bilateral START treaties in their current form have practically exhausted themselves, since over the past 25 years Russia and the United States have significantly reduced their nuclear arsenals. Today this is rather an example of the negotiability between the two leading powers on one of the main issues on the international security agenda - nuclear disarmament. I think that further negotiations should be conducted by the five nuclear powers, since their national nuclear arsenals, although not equal in numbers, are already comparable. Russia has never concealed, that it wanted to make provisions in START-3 to limit the US National Missile Defense, but it could not do this because of the hard position of Washington. The factor of time (START-1 expired in December 2009 and the parties did not want to delay the signing of the replacement document) and the reluctance of Russian President Dmitry Medvedev to spoil relations with his American counterpart forced Moscow to withdraw its demands on NMD. 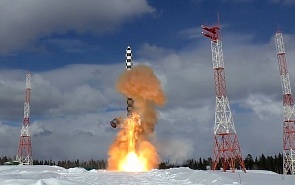 Without START-3 it will be much easier for Russia to develop and put into service both the new Sarmat intercontinental ballistic missiles, and nuclear-powered cruise missiles, as well as other new types of strategic weapons. But it is certainly important here not to slip into a mindless arms race, to preserve the possibilities to cause unacceptable damage to the enemy, while respecting the principle of reasonable sufficiency of nuclear capabilities. However, from an international political point of view, the absence of agreements between Russia and the United States on strategic offensive arms is a big blow to the NPT regime. And its consequences are difficult to predict.